One of the biggest parts of setting up your betta tank is how to decorate it. You want to find a nice balance between what your betta likes and what you like. More recently, fake decorations such as skulls and castles are going out of fashion, and a more natural look is in. However, the best decorations for betta fish are still a mixture of both! So it’s all going to come down to personal preference. Here are some of the best choices for your tank as well as, what to look for and avoid. 7 What To Look For And Avoid In Decorations? 9 Do Bettas Need Decorations? Here are some of the best decorations for betta fish and their fish tank! And even if the decoration you want isn’t on the list that doesn’t mean you shouldn’t use it. There are a few things you’ll need to watch out for though (which you’ll find out about further down). A tank always seems empty when there’s a lack of plants in it. They make the whole thing look more natural as well as providing hiding spaces for your betta. When choosing plants you need to decide whether you want live plants or fake ones. Live plants have the benefit of increasing the oxygen in your water. They are also less likely to cause damage to your betta, and they’re going to grow bigger, filling up more of your tank if you want them too. The downsides are that they require more work to maintain, and if you want your tank to be less wild looking, then you may need to trim them more. Some great plants you can use to get started are java moss, anubias, and anacharis. Fake plants are either plastic or silk. One of the biggest benefits of fake plants is the fact you’re not going to have to worry about them. For the most part, you can just put them in the tank and leave them. However, the problem with fake plants is that they can cause damage to your betta. If there are any sharp parts sticking out then your betta could tear his fins on them. This is less likely to happen with silk plants so you should stick to them when you can. Another staple decoration you see in many tanks is driftwood. It’s a great focal point and oftentimes you can use it to anchor plants too. It’s also going to provide places for your betta to hide and swim through, and if you have any other fish they can hide in it as well. However, driftwood also has its downsides. Over time it can lower the pH in your tank and if you leave it for too long no matter how well it’s been treated it’s going to begin to rot over time. If you plan on adding driftwood to your tank make sure you buy it from a seller, instead of using stuff you find naturally. Also, remember before you add driftwood to your tank you need to make sure that you’ve cleaned it thoroughly first. Check out this full guide on everything you need to know about driftwood. Marimo moss balls are a nice decoration that have the added benefit of keeping your tank clean. If you place them gently at the top of the tank they’ll float there for a while. But if you want them to sink you can fully submerge them as well. Marimo Moss balls are literally a ball of algae that is always growing (even if it’s incredibly slow). However, don’t worry about them covering your tank with algae they definitely won’t do that. Not only are Marimo moss balls going to be a nice addition to the look of your tank, but they’re also going to double up as a toy your betta can push around the tank. Here’s a complete guide on marimo moss balls. Another great natural addition to any tanks is some good rocks and rock formations. 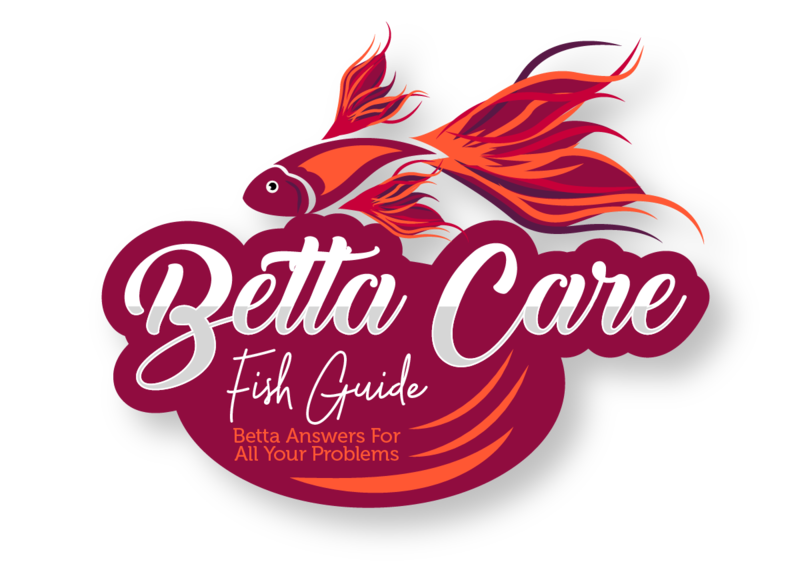 These occur naturally in the wild and your betta is going to love them. However, make sure when you add rocks to your tank that they’re not going to fall. You can use rocks to anchor plants too or as something your betta can swim around. And if you really want to make your betta tank stand out why not give this a try? Just hang the rocks from the top of your tank with some string. Rocks also have the added benefit of being a great place for algae to grow. Although you may not necessarily want algae in your tank it is good for oxygenating the water. And if you have bottom feeders and algae eaters in your tank then they’re going to love them as well! Remember if you’re going to use rocks make sure you buy them from a reputable seller and not using rocks you’ve found. You should also be aware that some rocks, especially calcium based one leech into the water. This can affect the pH and other parameters. And of course, last but not least you can also use artificial decorations. Pineapple houses, castles, skulls, and shipwrecks are all available and all make a great addition to your tank. When you’re using artificial decorations try to find ones that have a lot of holes that your betta can swim through freely. Not only is this going to entertain him, but it’s also going to give him a place he can hide as well. What To Look For And Avoid In Decorations? There are so many different types of decorations you can add to your tank. So instead of listing all of them, it’s better to learn what you should look for and avoid in a decoration. This way when you see something you like, you can make the correct decision every time. One of the main things you’re going to want to avoid is sharp edges. 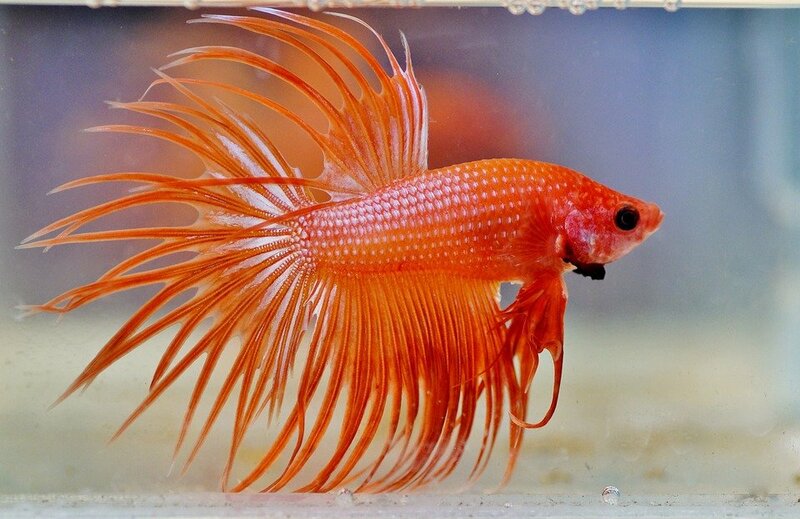 They could cut the body of your betta, and depending on the type of fins and tail they can quickly ruin them as well. If you notice sharp edges you should avoid buying the decoration. Secondly, you shouldn’t put any metal decorations in your tank. While they may look fine at first, they’re slowly going to rust over time. Not only is this going to be extremely harmful to your betta and the water, but if your betta cuts himself on the rust he could become infected. You should also avoid adding shells or coral gravel into your tank unless the pH is too low. Both of these things contain calcium which is going to slowly leach into the water over time. As this happens, the pH in the tank will rise. So if the pH is already stable then you don’t want to ruin the delicate balance. You should also avoid using glass. Generally, glass on its own isn’t a problem. However, if it smashes in your tank then you’re going to have a lot of trouble getting all the pieces out. Likewise, if the glass chips, or has sharp edges then it will end up cutting your betta as well. Also, remember that when you’re adding decorations to your aquarium make sure that you’ve quarantined them first. Doing this is going to reduce the chance that any diseases or parasites are going to be transmitted into the tank. Secondly, make sure you arrange decorations in a way which are safe. When you’re putting them into your tank, make sure there’s plenty of room for your betta to swim through. The last thing you need is your betta getting stuck or wedged in something. If you don’t notice he’s trapped, or you’re not home to get him out then he’s going to suffocate. You may be thinking that you can skip the decorations because your betta doesn’t really need them. However, this couldn’t be further from the truth. Here are some of the reasons you need decorations in your bettas tank. As aggressive and surly as your betta comes off, it’s important that he feels safe in his tank. In the wild bettas naturally, like to hide so you need to make sure he can do so in his tank. This is especially important in the early days. And when you give your betta a place to hide it’s going to do the complete opposite of what you think. Now that he feels safer in his tank you’ll notice that he will swim more openly and natural. The more hiding places the better! Another reason you need a lot of decorations is to keep your betta entertained. If your tank becomes dense with plants, ornaments and other decorations your betta is going to be constantly exploring. The tank is going to feel newer and fresher for longer. If you create lots of tunnels for him as well then he’ll have endless fun swimming through them. This is especially important for bettas who are too aggressive to be housed with other fish. With no other stimulation than themselves, they’re going to become extremely restless and bored. In the wild bettas often relax by lounging on leaves and other foliage close to the surface. They do this to avoid predators. And while there aren’t any predators in your tank, they’re still going to want to lounge around from time to time. While it’s mainly plants that allow them to do this, you can also buy floating leaves and logs that do the same thing. Have no sharp edges or anything your betta can hurt itself on. Shouldn’t be made out of metal, anything calcium based, glass, or plastic. Also remember that a betta needs decorations to make him feel at home, keep him entertained and give him somewhere to relax!